Good afternoon everyone! I hope you are all having a wonderful Friday! I am so beyond ready for the weekend and the return of The Walking Dead! I have been counting down the days and need my Sunday night zombie fix. 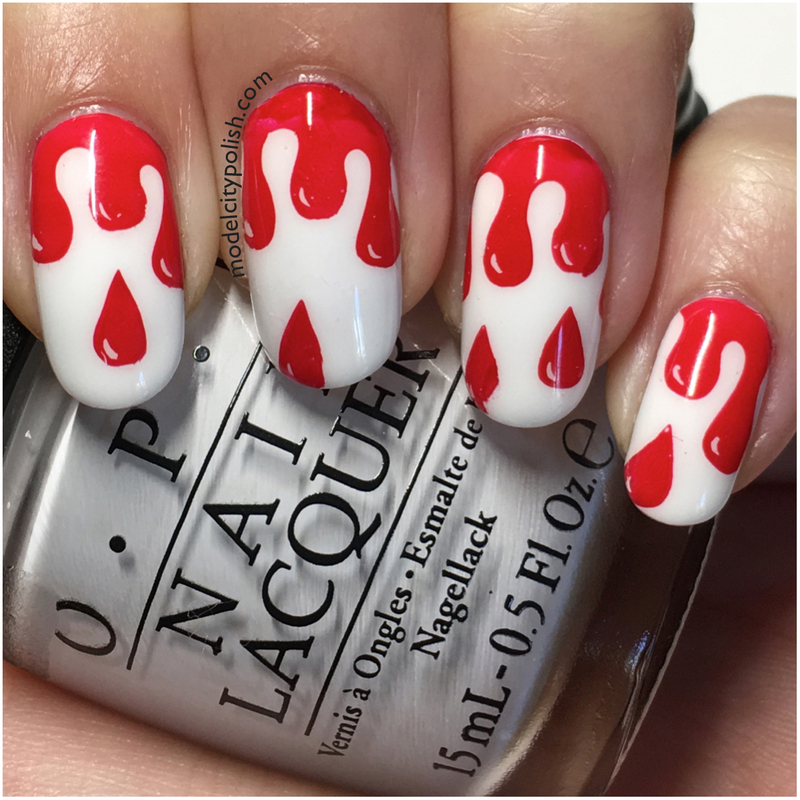 To combine my love for Halloween and the curiosity of who is “it”, I decided to go with some blood dripping nails. 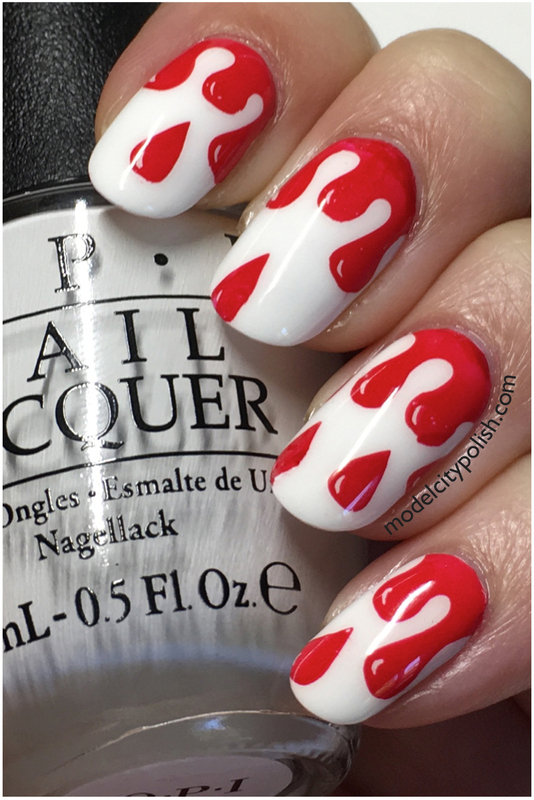 For my blood nails I started off with three coats of Alpine Snow by OPI and a coat of Clearly On Top by KBShimmer. 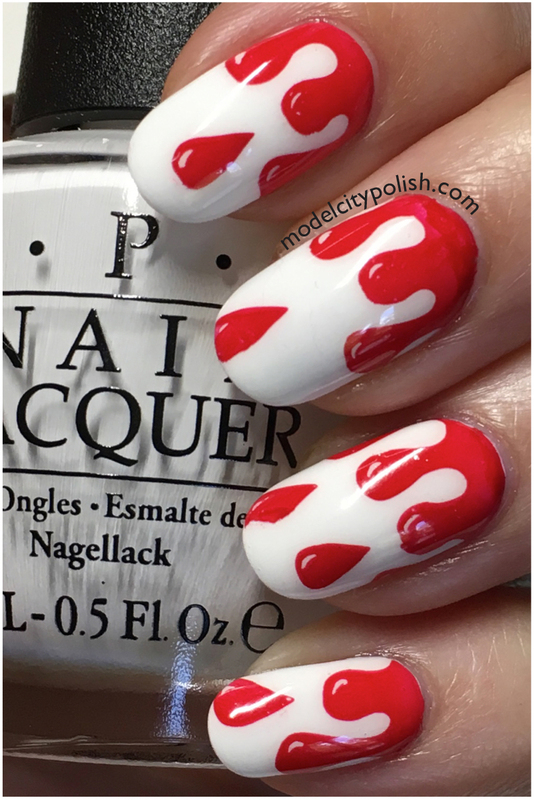 Once things were dry I used red stamping polish from Moon Nails Supply and BP-29 stamping plate from Born Pretty Store. I then sealed everything with two coats of Marvel Liquid Top Coat by SuperChic Lacquer. 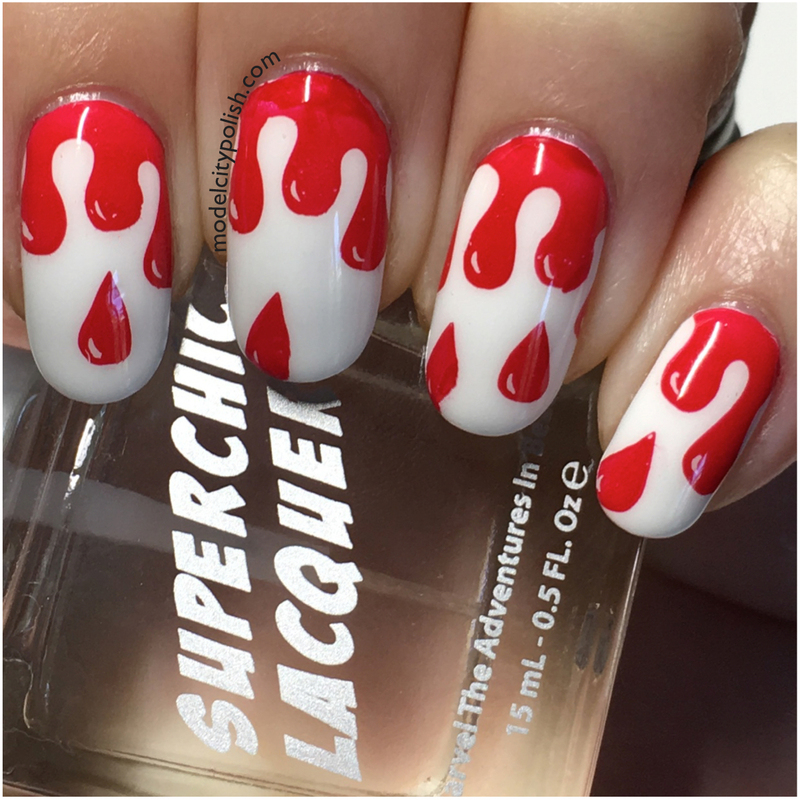 So what do you guys think of my blood nails? They have a cartoon feel to them that I just love and makes them tie in the the comic book series rather well. Next question….who do you think is it? My money is on Abraham, which I really don’t want to see go because I love his character and the things that fall out his mouth, and that Rick loses his right hand with a hatchet. Just a little more time and all my questions will be answered!!!! Thank you so much for stopping by today and I will see you all again soon! I love this so much! I wish I could do things like this. These are just so vampy! Love it. 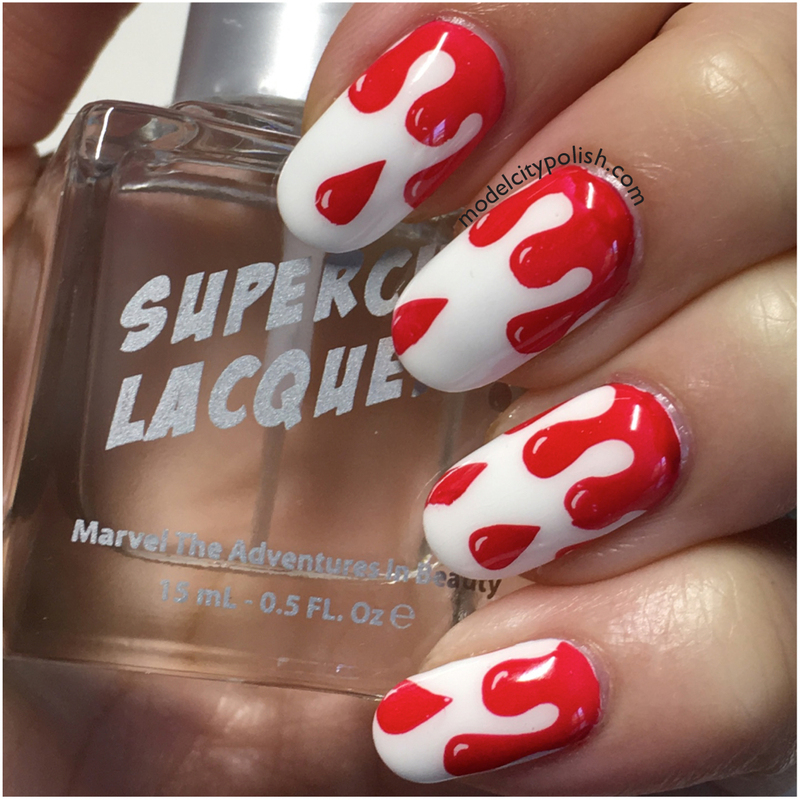 These turned out amazing – almost like pop art! Oh Abraham. That actor is just great though. So this is adorable. 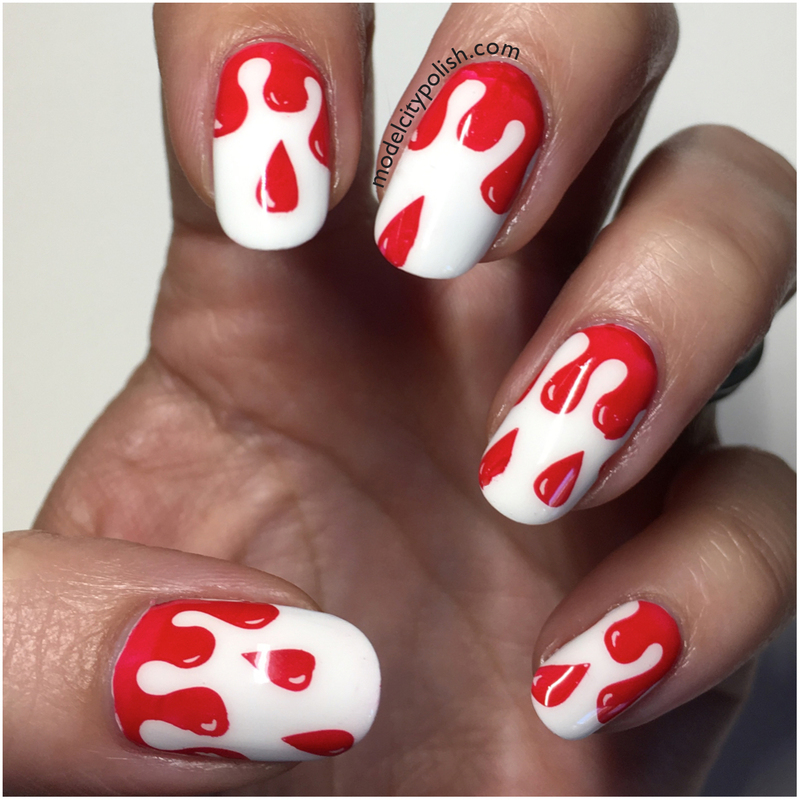 These are way too cute for zombie-themed nails.